Overwhelmed by all the eCommerce options available in the marketplace? No wonder you’re puzzled when comparing one eCommerce software to another! This is a difficult and technical task, and even the experts’ opinions differ on these matters. So, which eCommerce solution should you select for your enterprise? 5. 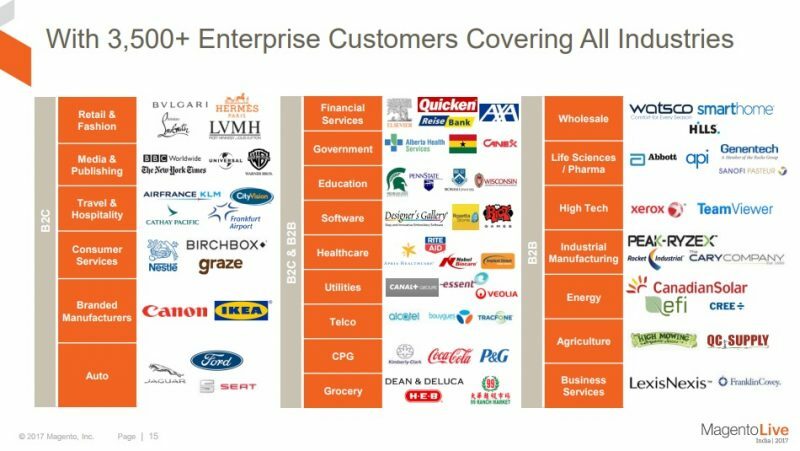 What Big Companies Use Magento Enterprise? 6. Conclusion: What Is the Best eCommerce Software Choice for Large Companies? If you’re ready to build a website that will make you reach an extraordinary growth level, then bare with us! This guide presents the aspects you need to consider to pick the best shopping cart software! Simplify the decision-making process, and choose what’s best for your company! Check out our previous blog posts to learn what experts say about migrating to Magento, or the steps you need make before, and after the Magento migration. Continue reading to discover what makes Magento Enterprise Edition the best fit for large retailers! Before purchasing an eCommerce software, state what your business’ requirements are, so you can briefly identify which platform fits you best. Think about the future of your business and ask yourself how much do you want to expand it. An eCommerce expert can help you decide what front-end requirements your website needs to have, such as the functionalities, the look, search & other features that your users see, so you can provide a user-friendly environment for your customers. Address the back office and software integration issues, and state all the capabilities you expect from an eCommerce platform, to list your products in a user-friendly manner and provide an extraordinary shopping experience. Aim to simplify as much as you can the process of going from chart to complete order, and diminish the number of steps during the shopping checkout. This will help you avoid the situations when the users abandon the cart, and it will increase your conversion rate. How scalable, performant and sophisticated do you need it to be? Cat it handle a big traffic? Can it easily process a big number of catalog pages without slowing down the load page time? Does it have a caching solution integrated, so that the loading speed of your website can’t be affected? Does it offer you the proper environment to handle advances transactions? Does it have a friendly user interface? Does it provide the tools to build an appealing shopping environment for your customers? For an enterprise-level eCommerce website, you will also need a development budget, as well as a hosting solution, and other specialized services that can have a direct impact on your sales performance, such as SEO services. For more details on how to calculate your development and hosting costs, read our previous blog post: How Much Does It Cost to Build a Magento Website. The third and biggest step you will make is to search for eCommerce platforms providers. To narrow down your options, try Google search what your competitors are using. The goal is to find an affordable, fully-customizable and easy-to-use software that can meet your business needs. Aim for a solution that can help you provide a pleasant shopping experience for your customers. To reduce the time and effort of being up to date with the latest trends on eCommerce, it is advisable to consult an eCommerce development expert and receive suggestions on which eCommerce software should you use to receive a great ROI. If you don’t have the time, the energy or the technical proficiency to evaluate what eCommerce solution can serve your enterprise best, in what follows you will find out what are the top three options big retailers choose to run their businesses online. The top evaluates each framework and highlights the potential each of them is capable to add to your company to help your sales performance grow. Magento Enterprise Edition is a derived version of Magento Community Edition, build on open source technology, which means that every merchant can customize the looks, feel and functionalities of their store. Also known as Magento Commerce (On-Premises), the enterprise edition software has additional features and functionalities to the open source version, Magento Community version. The software provides a flexible, scalable eCommerce environment to grow your business, and it was specially designed for large retailers that need technical support in terms of installation, configuration, customization, and troubleshooting. Magento EE comes in two versions, and the latest versions of the software are EE 1.14.2.4 and EE 2.1.7. However, installing a Magento EE 1x version is not available anymore, since November 2015, when Magento 2 was launched. The companies that already use the 1x versions can renew their license until 2018. The annual fee starts from $18,000 and includes the latest features, performance updates, and support. After 2018, however, all Magento 1x merchants must upgrade to Magento 2, but the good news is that Magento 2 has a new way to calculate the licence cost, based on a revenue model that says that the more revenue you have, the lower is the fee you need to pay to Magento to cover the fixed license costs. Find out more in our dedicated blog post on Magento Enterprise Edition costs. A study, commissioned by Magento and delivered by the Forrester Consulting, interviewed five Magento merchants to obtain data with respect to costs, benefits, and risks. The report shows the following results of switching from other platforms to Magento Enterprise Edition. Flexibility: to improve their website’s functionality, such as SEO, site management, marketing, payment and shipping features and the opportunity to add more features to their website that improved their sales and explore cross-selling opportunities, such as customer ratings, refer to a friend feature. Business expenses reduction: the purchase of Magento EE software removed the software license fees associated with other eCommerce platforms, in terms of annual maintenance or other fees. However, the downside of all these aspects refers to the maintenance part of Magento EE platform, that sometimes needs a more laborious intervention from experienced developers. To find out more about the development costs of Magento EE, check out “The Ultimate Handbook on Magento Pricing in 2017”. A strong support from the community and a large ecosystem of experts, developers and designers and access to third-party extensions and professional help. You’ll find out more about the advantages and benefits of using Magento in the last chapter of this guide. BigCommerce is another enterprise level eCommerce platform that large retailers use to enjoy an advanced suite of tools, to attract more traffic and business growth. The Enterprise version starts from $1,000 per month and offers a selection of 100 free website templates, and a series of paid templates customized to suit any type of brand. The software comes with inbuilt tools that can help you maximize your conversion rate, by helping customers find what they need to buy, and a one-page checkout procedure. All these features will help you decrease the cart abandonment rates and improve your sales performance. However, BigCommerce for enterprises has its downsides, too. One is that there are fewer free templates available, and the paid ones are more expensive than it is the case with other eCommerce platforms. More than this, because it is a newer platform, BigCommerce has a smaller community than Magento. If you’re already using BigCommerce, check out our dedicated blog post on the tools and services you can use to easily migrate from BigCommerce to Magento! Shopify Plus – an upgraded version of Shopify – is another option that big companies use to make their products and services available for their online target audience. It is a great solution for medium-sized companies that want to take their business to the next level. The platform provides enterprise-level features, hosting and other capabilities that can help your website handle high user traffic, process a large number of catalog pages and a big number of orders at the same time. Shopify Plus also offers complete and dedicated account management and non-stop support for all their merchants. The software’s price depends on a series of factors, such as the size of your company, your sales rates and volume, and the annual revenue growth rate your business records. The cost for the platform starts with $2,000 per month. Do you want to migrate from Shopify to Magento? Learn what tools you can use to make the switch! Magento EE is the most flexible and versatile platforms that offers all the freedom you need to customize your shop and provide an outstanding shopping environment to your customers. Yet, you must know from the start that changing Magento’s appearance and improving its functionality requires some technical skills and programming experience. In this sense you can consider hiring a Magento developer, to offer your customers an unrivaled shopping experience. By contrast, BigCommerce is easier to manage, and it offers the tools and functionalities you need to set-up and operate an online store. BigCommerce is a better choice for companies that aren’t prepared to invest in development, and are searching for a simpler interface. Thus, BigCommerce it is easier to use and it offers a good shopping environment for all merchants. But if you want a superior and more sophisticated solution, investing in Magento EE will be worthwhile on a long term. Magento is famous for its most secure shopping mediums available in the marketplace. With Magento, you can enjoy the help of a big community of developers that make constant changes to the software. Thus, you’ll have access to updates that you can install to improve your web store’s security and offer a much safer environment for your clients. BigCommerce also provides a good level of security and an integrated hosting solution with a domain name. BigCommerce certified servers offer you protection from many threats, such as credit card data breaches, intrusion detection, fraudulent transaction softwares. It also provides DDOS mitigation through by third-party solutions. BigCommerce offers many advanced SEO features and customization options that can raise your website ranking in search engines. Although both Magento and BigCommerce have SEO capabilities and offer SEO friendly options to help you reach your target audience faster and easier, when it comes to social media, BigCommerce is more flexible than Magento. Yet, there are plenty of integrations and application that you can use with Magento to provide social sharing and following buttons on your website. You can also create promotions and offer different sales options to your customers with Magento’s built-in features. Check out our dedicated blog post on how to optimize your Magento eCommerce Site’s SEO, if you want to learn new ways of making your site more user and search friendly. Magento EE is the leading eCommerce software, with nearly 8.7% large retailers around the world using it. By contrast, Shopify Plus’ market share is a bit smaller, at 8.4%, but it gained a lot of popularity in the last years. Both Magento and Shopify provide a powerful CMS and an appealing user-interface, and they both have lots of options you can use to customize your website’s appearance. When it comes to the ease of use, Shopify is more user-friendly, while Magento is more flexible, which means that is more customizable. To use Magento you’ll need to have the necessary technical skills or hire a specialist to do the job for you. With Shopify, you don’t need any programming skills. Your website will have a much simpler appearance and the level of customization will be limited. As we mentioned above, Magento is one of the safest eCommerce environments, and this is due to the fact that you have all the flexibility you need to handle the security level of your website. With Magento EE you can build a website as robust and secure as you want it to be. If you go for Shopify Plus, all the responsibility is passed to Shopify, from SSL encryption to Level 1 PCI DSS compliant. Thus, Shopify will run your website in a secure environment without your intervention. Magento offers all the options you need to improve your website’s functionality that can also help boost your website ranking in the search engines. You can also have the same powerful SEO features available in Shopify Plus: the option to edit your meta titles, meta descriptions, URL, alt tag for images, and customize image file names, generate sitemap.xml and robots.txt files. Still, there are other practices you can use to improve your website’s organic traffic and make your website appear higher in SERP. Check out our dedicated post on how to optimize your eCommerce Site’s SEO, if you want to make your site search friendly and attract more customers! Taking into account that Magento is more customizable, has more complex features, more powerful security solution and support departments, it is a safer choice in the long run. It is also the right fit for large retailers that want to build a powerful brand online, aim for a wider audience and expect higher traffic and increased sales performance. In the end, the right choice will be the one that fits the type and size of your business. Thus, ShopifyPlus is a good choice if you’re looking for a solution that has faster implementation time and it’s cheaper to maintain. What truly matters is to take into consideration your needs and requirements, so that the final choice can help your business thrive. 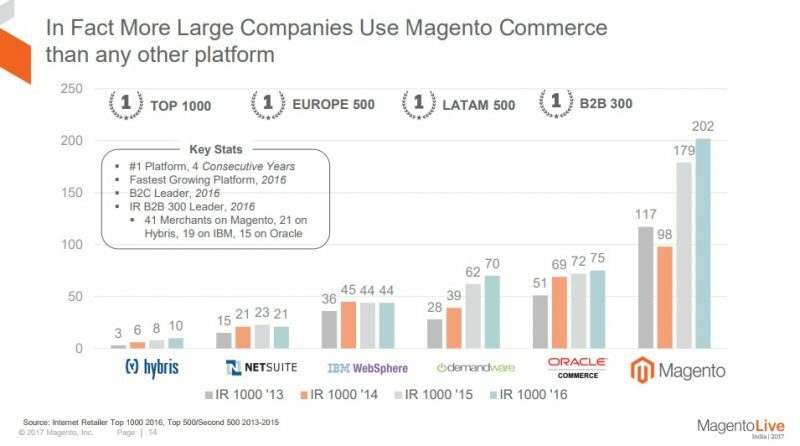 Magento holds the largest ecosystem of commerce technology partners, with more than 205,000 experienced developers that endorse Magento as the most feature-rich, scalable and customizable enterprise platform that modern technology can offer. These are the main reasons Magento merchants give for using the software, making it easy for the rest to see why Magento holds more enterprise-level companies than any other platform available in the marketplace. Ready to start your business on Magento Enterprise? Finding a new eCommerce solution is a tremendous and risky job, as every bad step you take can make you lose time, money and the opportunity to increase your sales. Are you willing to invest in website development or just want an out-of-box and ready to launch solution? Do you want to benefit from a sophisticated eCommerce web store? Does your business need complex features handle more advances transactions? Do you prefer a user-friendly user interface? Having these aspects in view, your decision depends on your unique business requirements, your marketing goals, and, the budget you are willing to invest. Fortunately, there is a right solution for every type of business to attract more customers and make them convert! When you’re trying to be ahead of the competition, the looks and feel of your website are not enough to make your target audience choose your website over other results in Google. You also need to be able to offer a secure, easy to browse and appealing shopping environment for your customers, from the moment they have reached your web page until they check out, and even after that! You need to make them come back again and again, to increase the average transaction size and the frequency of transactions per customers, and help your business flourish. For all these purposes Magento EE proved to be the most reliable platform for enterprises, as it was specially designed for large retailers and businesses such as yours! Although developing a Magento website is a more complex job, compared to other eCommerce solution, the benefits you’ll receive using this platform make it worthwhile, so you can reach an exceptional return of your investments! 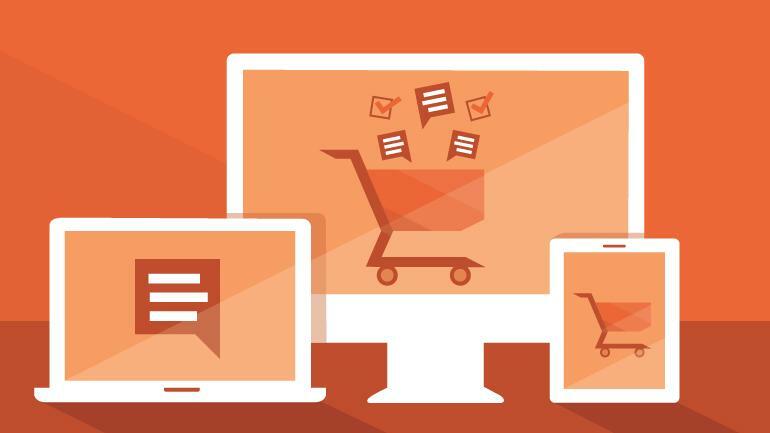 If you want to learn more about the advantages of migrating to Magento, and the steps you should follow to make the move, check out our blog post on Magento Migration Guide: How to Move Your Shop to the World’s Leading eCommerce Platform. But if you are already convinced, then you can proceed to the next step of hiring a developer that can transform your marketing plans into accomplishments! Call us today and let’s make your big business go online at an affordable price on the biggest eCommerce platform in the world! Need a Magento Developer? Let’s talk today!